← IN HONOR OF MY NEW ADDITION, LET’S TAKE A TOUR OF IC1848, THE SOUL NEBULA. 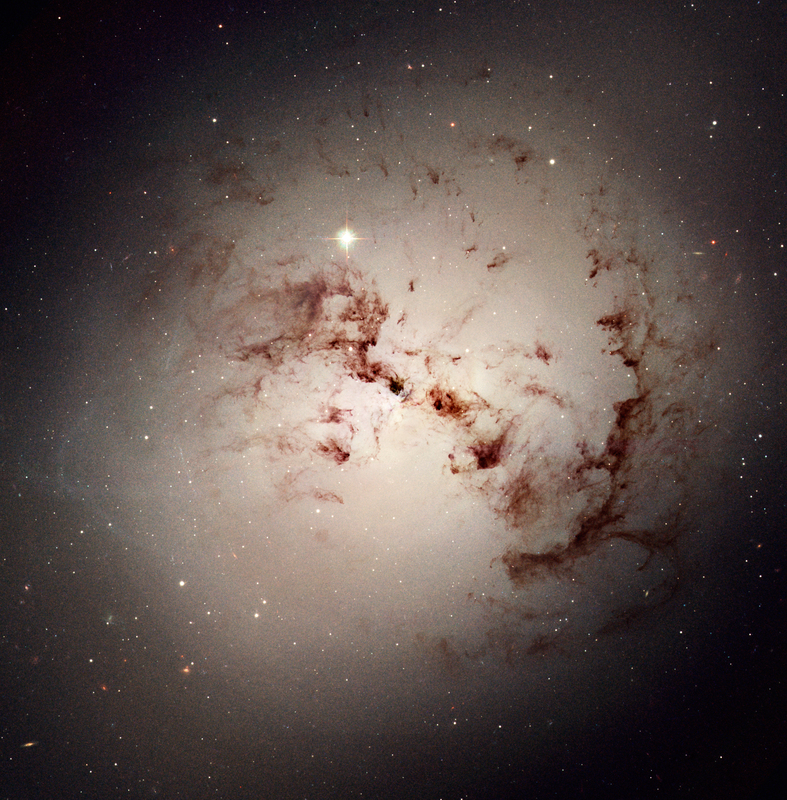 NGC 1316 (Fornax A) IS MORE THAN JUST ANOTHER UGLY FACE……IT’S SIGNALING US. Photo By: NASA/ESA Hubble Space Telescope (Links below). This will be a 2 part series highlighting NGC 1316 or Fornax A, the 4th brightest radio galaxy known. This 1st photo is of the galaxy itself while the second photo will show the incredible radio lobes firing into the universe. Material will probably remain the same for both. You see images time and time again of colliding, deformed galaxies and it’s true that the raw magnitude of what we are witnessing never gets old but what happens to those galaxies millions and or billions of years down the cosmic road? Well this is such an example, at a distance of 75 million light years this is what the galaxy looked like when the dinosaurs roamed the Earth and we are fortunate enough to be catching that light today. It is believed that this massive elliptical galaxy is the end result of a gravitational dance that lasted for tens of millions of years by two colliding, likely spiral galaxies. Some speculations are that it possibly devoured part of its northern companion NGC 1317. At least one of those galaxies was believed to have been a spiral galaxy of some sort due to the massive dust lanes normally seen in spiral galaxies that are seen quite easily in this 3 hour exposure from Hubble. Another fingerprint of spiral galaxies (though not exclusive), are the detections of globular star clusters throughout this structure. It’s odd because most elliptical galaxies contain a higher number of globular clusters, brighter too. The clusters are also ancient yellow clusters comprised of stars much older than the elliptical galaxy which leads to the thought process that they are survivors of the now destroyed spiral galaxy (s). Another terrific feature of this galaxy is that it’s the 4th brightest radio signal that we have detected in the universe. Now don’t run out in a panic thinking Carl Sagan’s movie Contact has finally come true, but this is pretty exciting. In the center of this already massive elliptical galaxy is a very hungry and feeding supermassive black hole. The going theory is that as NGC 1316 cannibalizes its counterpart, material is streaming into the black hole and is reacting like jet fuel being thrown into an afterburner. Friction from the incoming material creates plasma around the black hole that reaches temperatures in excess of 10 million degrees and emits a massive amount of light and X-rays. A not yet understood magnetic focusing mechanism focuses high energy particles away from the plasma surrounding the black hole in the form of directed jets that fire off some 500,000 light years from the core creating the incredible radio lobes seen by radio telescopes. NAME: NGC 1316, PGC 12651, Fornax A, Arp 154. WHAT IS IT? : Elliptical galaxy with a very bright radio signature (1.4GHz). HOW FAR AWAY IS IT? : 75 million light years (23 megaparsecs). HOW BIG IS IT? 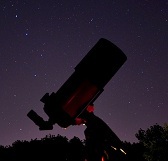 : About 60,000 light years (18,000 parsecs) in diameter and 2.7 arcminutes on the night sky. APPARENT MAGNITUDE? : Fairly dim 9.4 or +9.4. WHERE IS IT? (General): Constellation Fornax near the edge of the Fornax cluster of galaxies. WHEWE IS IT? (Exact RA/DEC J2000): R.A. 03h 22m 41.5s / DEC –37° 12′ 33″. Image | This entry was posted in Astronomy (Learning), Astrophotography (DSOs), Galaxies, Images and tagged Astronomy, Astrophotography, BlackHole, Cosmology, ESA, FornaxA, Galaxy, Hubble, NASA, NGC1316, RadioGalaxy, Science, Space, SupermassiveBlackHole, Telescope, Universe. Bookmark the permalink. 1 Response to NGC 1316 (Fornax A) IS MORE THAN JUST ANOTHER UGLY FACE……IT’S SIGNALING US.